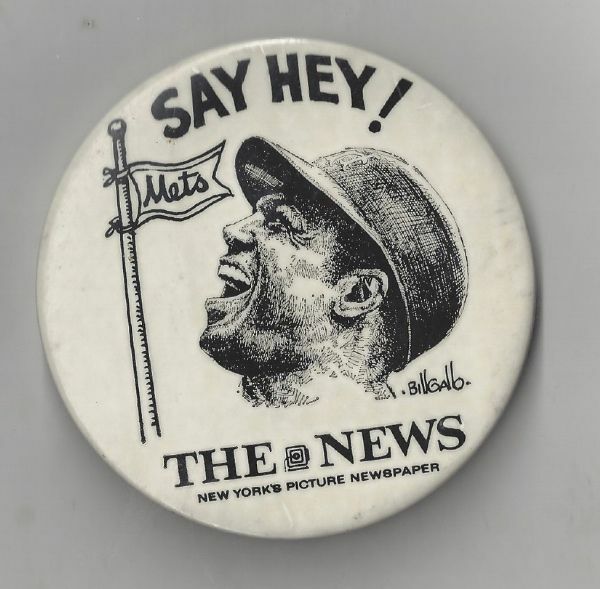 This is a 1973 Willie Mays Daily News "Say Hey" large size pinback button. Approx. 3.5" in diameter. Marks Willie's return to NYC after many years in SF. Ex.